As I mentioned in my post on Irish Brown Bread, Irish cooking isn’t the most sophisticated of world cuisines. Their bread is one exception, and their soups are another. This five-step root vegetable puree is perfect for chilly weather and involves more waiting than actual preparation/tending — very low maintenance. 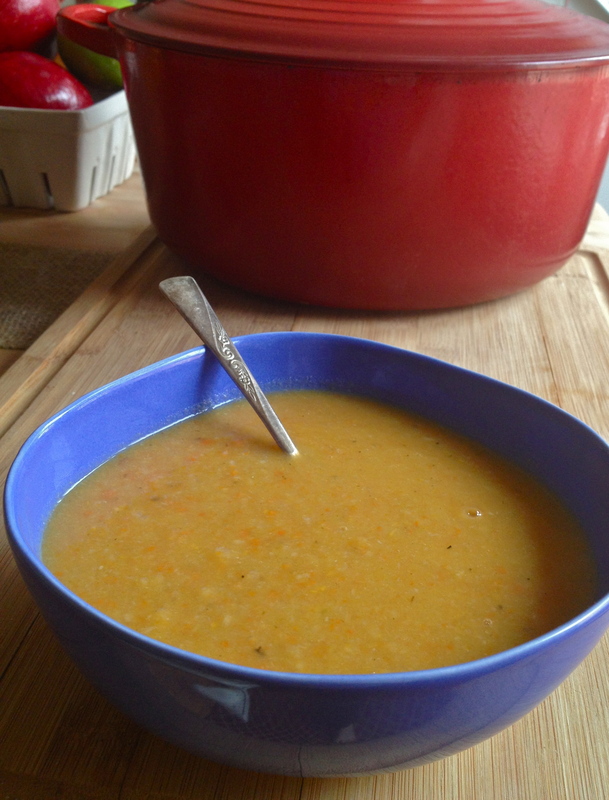 It’s a yummy, healthy soup that will warm you from the inside out! In a large bowl, combine parsnips, carrots, onion, sweet potato, garlic, ginger, cumin, thyme, and 2 tbsp olive oil. Toss to coat. 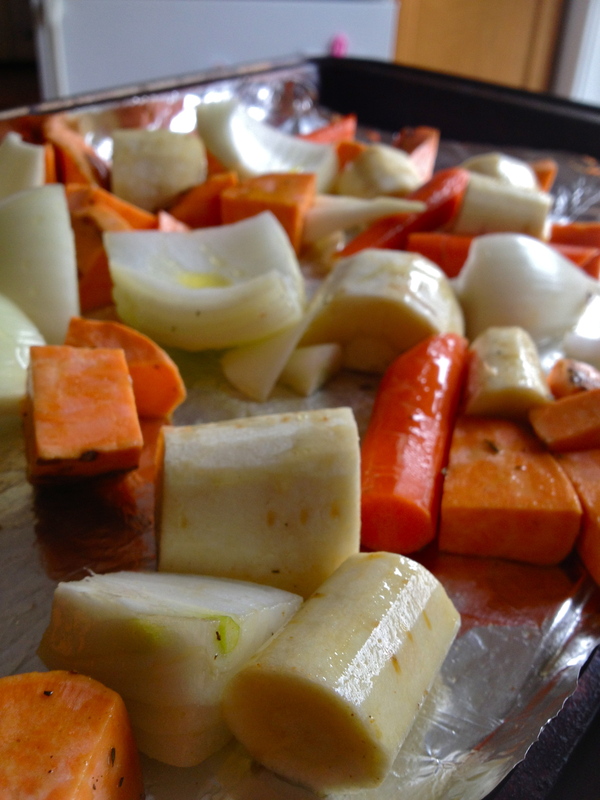 Spread a single layer onto foil-lined pans and roast until starting to caramelize. Heat the last tbsp of oil on medium low in a Dutch oven or other large pot and add leeks and bay leaf. Cook, stirring occasionally, until soft. Add the roasted veggies and broth to the pot and bring to a boil. Simmer until tender. Remove bay leaf, puree in batches, and enjoy. “Enjoy” is best done with lots of buttered Irish Brown Bread! Previous Buffalo Chicken Grilled Cheese.